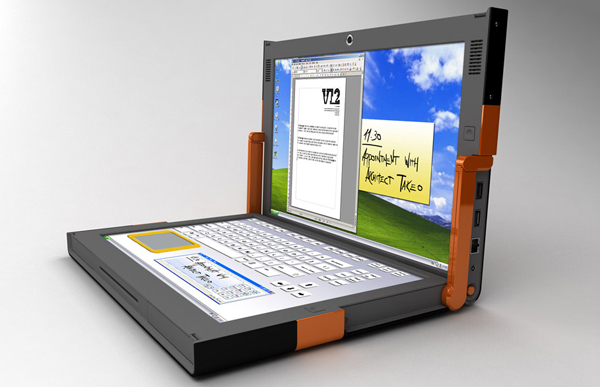 Canova Dual Screen Laptop, For Real? 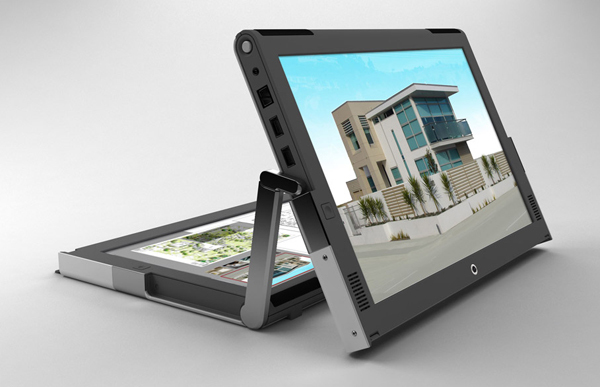 It has a Web site and Notebook Italia says that the Canova dual screen laptop is coming soon. 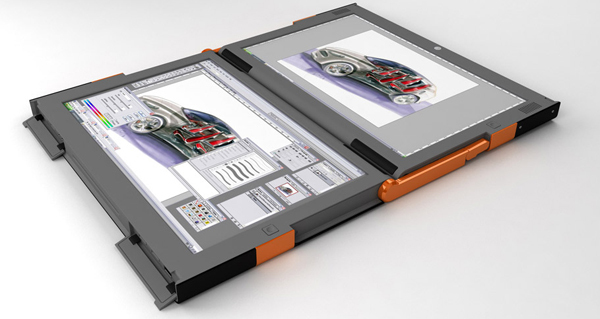 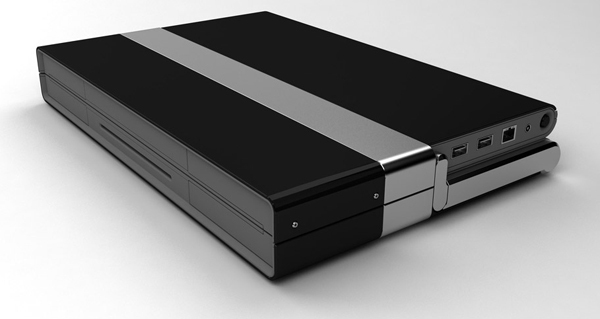 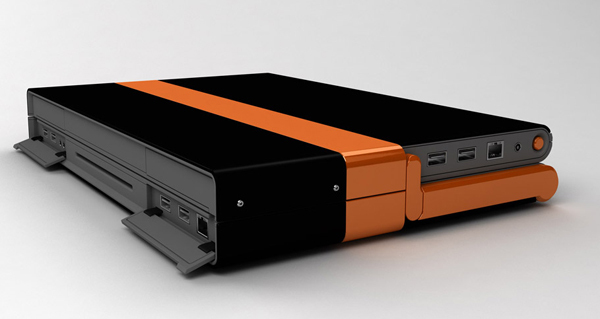 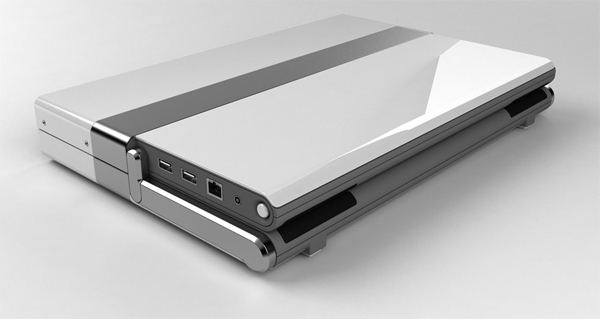 Estari, an American company that supposedly also created a $4,000 dual screen notebook, is reportedly producing the new model, conceptualized by V12 Design. 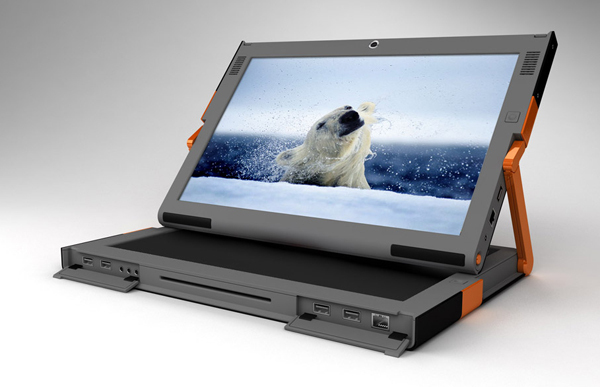 The base screen replaces the keyboard, and a hinge allows the second screen to swivel freely, which looks pretty cool but yields few other practical applications beyond the traditional clamshell design.